I've got an idea for the campaign ribbon. It's based on the US Army Engineer branch insignia. I want to hear what you think though. If someone wants to come up with other options I will post them here. Once we get three (or more) options I'll put it to a vote. 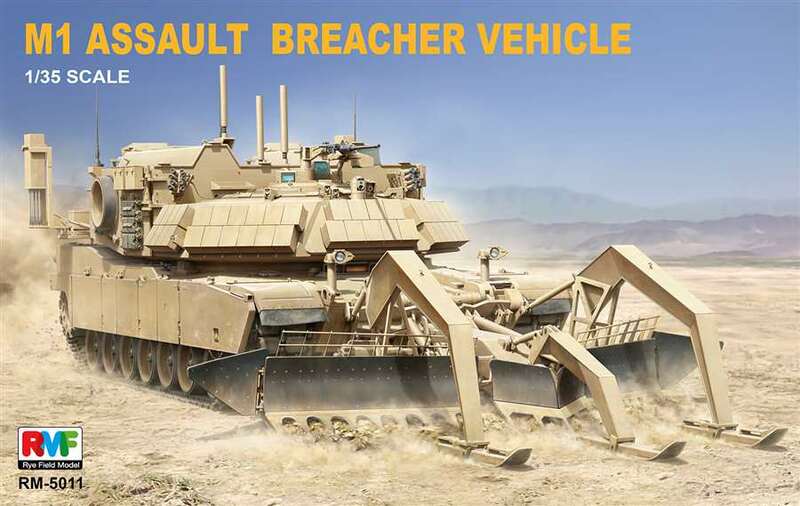 It doesn't necessarily have to be a breaching vehicle; just a vehicle used by combat engineers. Yeah, I'll let it be entered. I am going to enter with an SdKfz 251/7 (the one on the left of the image). I'm already doing the one on the right for the "Launchers" campaign. I missed out doing the middle one for the "Anti-Aircraft" campaign (didn't remember I had it)! I've also got the Dragon version of that Sd. Kfz 251 kit that Gary has, thanks to 18Bravo. Bought it from him at my club's semi-annual kit auction this month. I might need to find something with which to join this campaign. Sounds like fun! Well, come on in, Mark! It's not a party unless you're here! Would a Russian BMR 3 or BTM 3 qualify? If so I'm in. Would the IDF puma qualify ? As soon as it’s January 1st local time though I don’t know how anyone would know if your clock was a little fast! Happy New Year 2019 and here we go. An official opening photo of my M31 build. The vehicle will be in Olive Drab/Black camouflage from 2nd Armored Division, 3/66 Armor Regiment, SC-38 - France, July 1944. Happy New Year to all! Good luck with all your endeavors...modeling and otherwise. I intend to build on this campaign the M4 VBE Eng 30t Lag, better known as Sherman Engenharia, a Brazilian Army project that had 5 units built and kept operational until the early 2000s. Looks good! Be sure to post some pictures along the way! 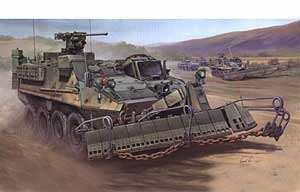 I'm about to start working on either the M9 ACE or the Stryker Engineer vehicle. My contribution will be a Centurion AVRE Op Granby 1991 issue. Wish me luck. Good luck! 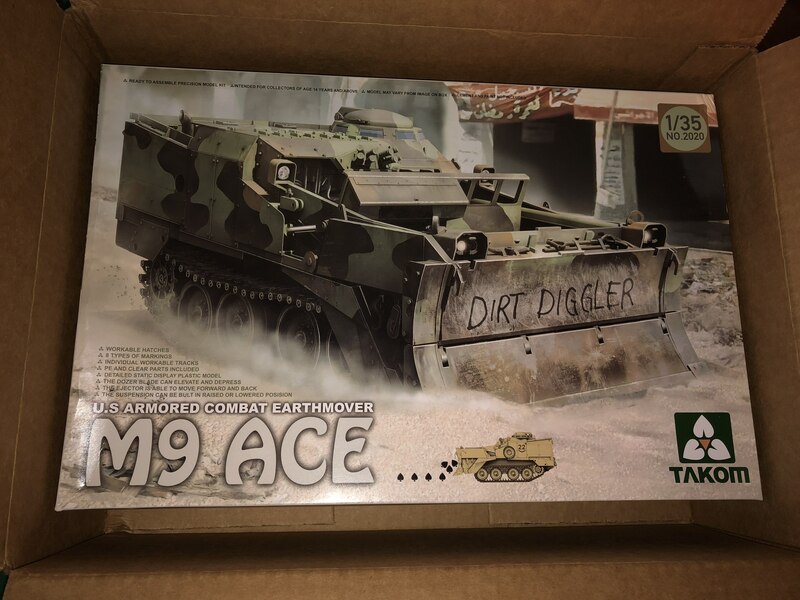 As soon as I get done with the 5 ton truck for the Logistics campaign I’ll start on the M9 ACE or the M1 ABV. Here is my entry, the old Airfix 1/72 (1/76?) Pontoon Bridge. This kit is a Bailey Bridge and I'm thinking of only doing a single span. I thought this was going to be an easy build but there is no such thing with the ancient Airfix kits. I want to make some changes such as no pontoons for a single span, additional beams for the transoms, and perhaps hand rails for the walkways. I'll need to visit the LHS about 220 miles away for some model railroad beams. Any way I build it, there will be plenty of ejector marks to fill and sand. Good luck with that, Don! Here is the BMR 3M ready for the start! I'm dying to pick up one of those! Can't wait to see what you do with it, Scott! Thank you Sir. Your campaign idea got me back into group building. I hope I can do it justice.